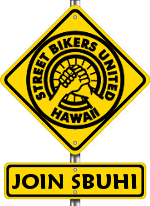 Street Bikers United Hawaii supports current muffler law. Noise complaints should be solved by enforcement of existing law, not creation of new law. shall not be required to be equipped with a muffler. (b) As used in this section, “muffler” means a device consisting of a series of chambers or baffle plates, or other mechanical design, for the purpose of receiving exhaust gas from the engine of the motorcycle or moped, and being effective in reducing noise. [§291–24.5] Motor vehicle muffler. (a) No person shall use on a public highway, sell, alter or install a muffler which will noticeably increase the noise emitted by a motor vehicle above that emitted by the vehicle as equipped from the factory. Bills calling for specific decibel limits fail to consider the unintended consequences. Already overburdened police must be trained and certified in the use of decibel meters. Decibel meters must be maintained and calibrated for use as evidence in court. HPD has testified against bills calling for specific decibel limits for these reasons. Also, decibel limits set specifically for two-wheeled vehicles are discriminatory. Other vehicles and equipment often make as much or more noise. Bills calling for “criminalization”, felony penalties, and vehicle impoundment are over the top. Vehicle equipment violations should be fix-it tickets. People disturbing the peace may deserve a fine but are not felons. Bills calling for motorcycle impound lots grossly underestimate the costs of same. Exhaust inspection is already part of the yearly inspection process. Exhaust pipes are checked for sound deadening baffles. Straight (un-baffled) pipes do not pass. The problem with adding more requirements to a yearly inspection is that a yearly inspection only determines compliance on one day of the year. Pipes can be changed after inspection. Also, with so many makes and models, it is impossible for inspectors to know for sure what is original, stock equipment. Original, stock equipment is often no longer available. 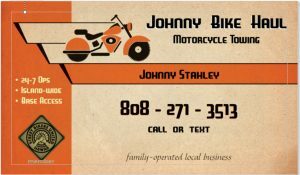 Bills calling for EPA labels on pipes would make currently legally registered and inspected motorcycles illegal, constituting a taking of millions of dollars of citizens’ property since custom and hand-built motorcycles with “one-off” custom exhausts cannot get such labels. 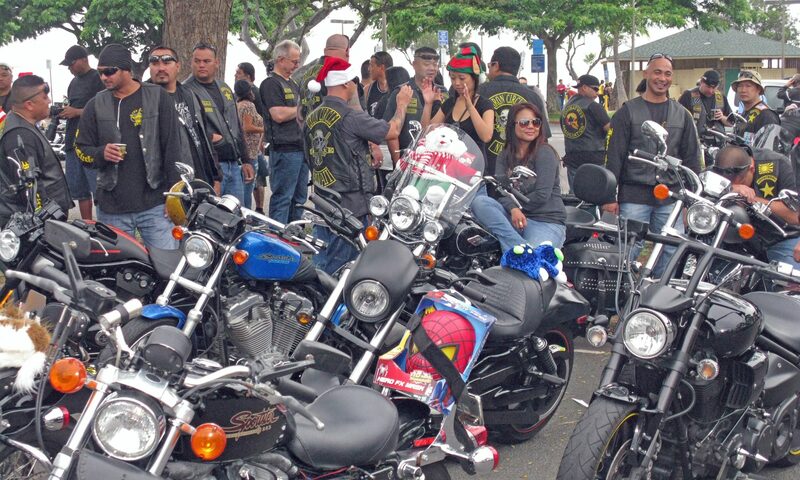 Additional repercussions would include the closing of custom motorcycle and exhaust shops in Hawaii and the laying off of their employees. Bills requiring EPA labels only for two-wheeled vehicles are discriminatory when not requiring EPA labels for all vehicles.